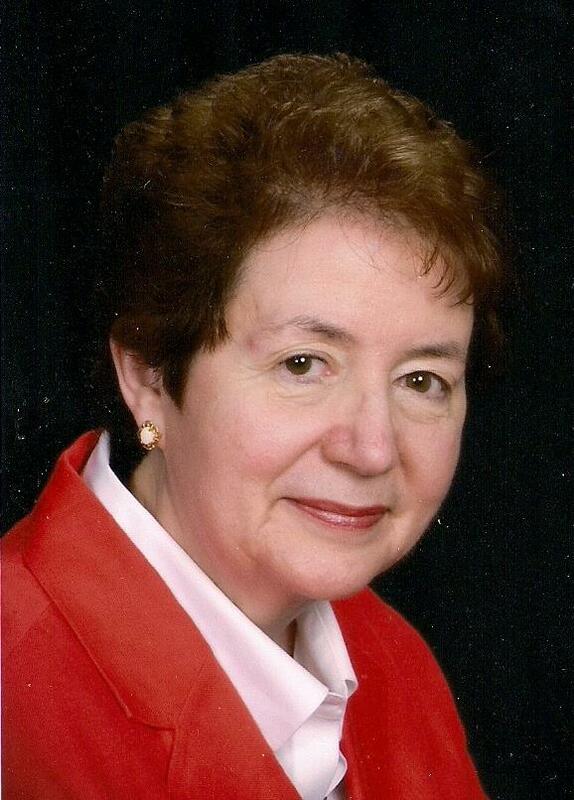 PDG Susan (Sue) Bellor, HonDL, Hon.D.Phil, is a member of the Massena Rotary Club. 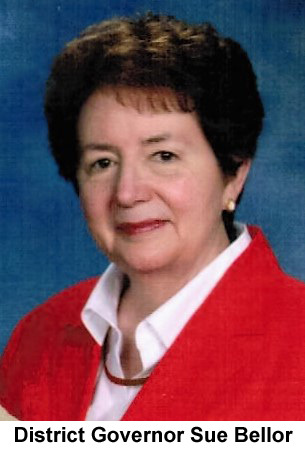 She is the fifth Rotarian from Massena to serve as District Governor 2017-2018, following the late Duke Lockrow 1964-1965, John Murray 1993-1994, Carter Montross 2002-2003, and Peter Bashaw 2008-2009. Serving as co-chair of the Legacy Million Dollar Dinner, D7040 raised $1,105,165.45 for The Rotary Foundation. In her term, she nominated several district Rotarians for district, zone and regional awards and all were designated winners: Manon Lennon for Service Award for a Polio-Free World; PDG Edmond Lanthier for Service Above Self; PDG Katherine Burke for TRF’s Citation for Meritorious Service; PDG William Gray for The Donald MacRae Peace Award; and Suzie Lanthier for Excellence in Service to Humanity. PDG Sue is a Rotary Foundation Benefactor, Bequest Society member, Paul Harris Fellow, Paul Harris Society member and a Major Donor. She is a member of Rotary Action Groups (RAGS): LitRag, WASRAG, HEWRAG, and RAG for Mental Health. Sue is also a member of the PDG Fellowship. DG Sue is the recipient of several awards in Education from her Foreign Language teaching and Methods Instruction at both high school and university levels respectively. After one month on my journey as your District Governor, and having made several official club visits, I extend a “Thank you” for the warm welcomes, hospitality and your eagerness to work in partnership. I also had fun and laughter along the way too! I am inspired by all the projects and special events unique to each club. Let’s all share these with other clubs and be sure to send to Community Service Chair Mary Zovistoski at: mzovistoski@gmail.com. When you input them under your service tab at Rotary Central, many more clubs will have a chance to learn about your projects and may ask for your mentorship. On my continued journey, and having made several official club visits, I have been treated with warm welcomes, hospitality, good humor, and have witnessed your eagerness to work in partnership. While I continue to fill my calendar with my official club visits, I want to remind Rotary Club Presidents to work with their officers and directors to plan for earning The Rotary Citation (containing 3 prioritized areas with goals); it actually is more flexible and attainable. I am pleased to announce that Area Governor Hadi Mortada, of the Rotary Club of West Ottawa, was selected to lead the district in 2020-2021 as our District Governor. Congratulations, Hadi! I also want to thank the other candidates and encourage them to re-apply again in the future. Many thanks also are extended to the Past District Governors for participating in this day-long process which benefits the continuation of leadership for District 7040. This is a reminder that November is Foundation Month. How are you celebrating the Rotary Foundation in your club? This past weekend of September 29-30, Rotarians came together from across the district in “Celebrating our Service” at our annual District Conference 2017. It was such a positive event well-organized by District Conference Chair PDG Bonnie Black. Many Rotarians were involved and collaborated to bring you a program that focused on our service locally and globally. In addition to a venue that provided a welcoming ambience, and great accommodations it was our pleasure to hear inspiring messages from R.I representative Elizabeth Smith Yeats with her advocacy of the PolioPlus Program, our Keynote Speaker, Rotarian and author Alan Mallory about his trek to conquer Mount Everest with his family, along with panels of district speakers: Joan Hunter of Ottawa South, Terry Forth of Iqaluit, Julie Cugalj and Brittany Hesmer for Rotaract, Youth Exchange Chair Joe Fontes, and PDG Nabil Oudeh and area governors along with myself. $1,105,165.45 was raised for The Rotary Foundation by our district’s Legacy Million Dollar Dinner. This two- year campaign concluded with a celebration on November 4th at the Ottawa Convention Centre, featuring Keynote Speaker and Rotary International Director Jennifer Jones. Honored attendees enjoyed an evening of good food, Rotarian fellowship, and were entertained by the most enjoyable local musical talent of Live Steel Drum Band and CAPS Lock Barbershop Quartet. The evening culminated with the exciting announcement that District 7040 is the first district with a Million Dollar Dinner to have contributed 45% of the goal in cash. Thank you to all! District Council met on January 27th and several district officers, directors, and chairpersons provided valuable updates. With 5 months remaining, be sure to input more goals and service hours, and update your service projects at Rotary Club Central; all necessary to earn The Rotary Citation. At this date, 36 clubs have set some goals and 22 of those clubs have set at least 16 goals; ask your club officers how you can help. If you want to check the status of your club; ask your area governor or contact me. We are ready to assist. The next District Council meeting will be held June 2nd . District Scholarship Chair PDG Katie Burke continues to seek and organize Rotarians in the district for help on the translation team, along with the need for a translation team coordinator. Can you provide some Rotary stewardship to help with this very important endeavor? In the pursuit to provide translations to French for all that we want to share, we do need some bilinguals to help us. We are a District of more than one language and want to respect this diversity with our French- speaking fellow Rotarians and friends. Please contact Katie at brkcornwall@gmail.com. Thank you to all those who have been translating; and to AG Michele Herblin who has taken on the task of translating my monthly message and district council notes. Merci beaucoup! District Scholarship Chair PDG Katie Burke notes that the deadline for scholarship applications is April 15th and the interviews will take place on April 28th. Please be reminded that candidates need be District 7040 permanent home residents. Did you all see PDG Katie’s article about our district global scholar in RI Vice President Dean Rohr’s newsletter? Bravo, Katie! Are you one of the 30,000 who have registered for the Rotary International Convention in Toronto? Go to rotary2018.org to register; the next deadline is April 1st at $410 US. This is the chance of a lifetime to attend a Rotary International Convention! It is exhilarating to network with Rotarians from all over the world! Have you registered for the District 7040’s special Rotary weekend? Friday April 20th is the last Grants Management Qualifying session; Saturday April 21st is PETS (President-Elect Training); Saturday night April 21st is our annual Rotary Foundation Dinner; Sunday April 22nd is DTA (District Training Assembly).....all are at the NAV Centre in Cornwall. Thank you to DGN Gerry Lambert and his Learning Development Team for many hours of planning for this very special weekend in our district. Are you one of the 30,000 who have registered for the Rotary International Convention in Toronto? Go to rotary2018.org to register. This is the chance of a lifetime to attend a Rotary International Convention! It is exhilarating to network with Rotarians from all over the world! Clubs are reminded to provide the DG with credential certificates and voting cards, if those clubs are not able to send a delegate to the convention. Having as many clubs as possible represented helps Rotary achieve the quorum we need to hold valid officer elections. You can learn more about the role of convention delegates in Article 9 of the Constitution and or Article 10 of the RI Bylaws. District Rotarians earned district and regional meritorious citations at the annual Rotary Foundation Dinner on April 21st. Those individuals honored, received plaques from RI along with special pins bestowed by PDG/DRFC Bonnie Black and myself. PDG Edmond Lanthier was lauded for Service Above Self; PDG Katherine Burke for Meritorious Service; and Manon Lennon for Service for a Polio-Free World. Congratulations to all for well-deserved recognition. Read more about these awards and club recognition banners in the May District RF Newsletter. Thank you to all donors and for the fine work of the District 7040’s RF Committee!